The psychotherapy and counselling profession has recently experienced far-reaching changes because of the development of evidence-based medicine and managed care systems. The Future of Psychological Therapy brings together leading counsellors, psychotherapists, psychological therapists and managers to address how these changes are beginning to affect all aspects of the psychotherapy and counselling profession. It evaluates the impact of these developments, shows how they affect practitioner’s capacity to care, anticipates future developments and offers a coherent and viable approach to research and practice. exposing the danger of sleeping through these momentous changes in the counselling and psychotherapy profession. 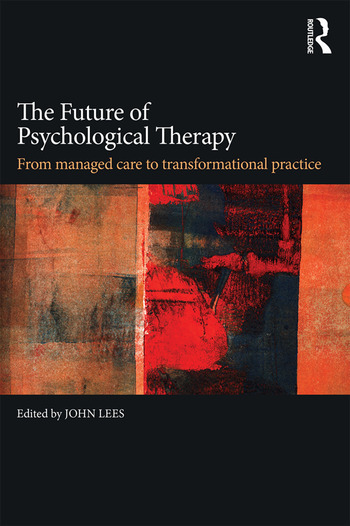 The Future of Psychological Therapy is a timely and important book, examining the psychotherapy profession's approach to managed care and evidence-based research, and discussing whether a balanced, coherent and viable counselling and psychotherapy research and practice culture can be established. It will be of interest to practitioners, academics and policy makers in the field, non-clinical professionals and anyone who is interested in psychological therapy and addressing the worldwide deterioration in psychological health. Samuels, Foreword. Lees, Introduction. Part I: Mainly Context. Loewenthal, Therapy as Cultural, Politically Influenced Practice. Morgan-Ayrs, Regulation, Institutionalized Ethics and the Therapeutic Frame. Bento, Managed Mental Healthcare in the USA and the Care of the Soul. Part II: Mainly IAPT. Simpson, Containing Anxiety in Social Care Systems and Neoliberal Management Dogma. Rizq, States of Abjection in Managed Care. Watts, IAPT and the Ideal Image. Nuttall, IAPT in Action: The Experience of Working in the IAPT Scheme. Part III: Mainly Practice. Lees, Psychotherapy in an Age of Managed Care. Totton, The Risk-Taking Practitioner:Implementing Freedom in Clinical Practice. House, Alternatives to Managed Care in Research and Practice. Lees, Concluding Thoughts. John Lees is Senior Lecturer in Mental Health at the University of Leeds and counselling and psychotherapy practitioner in private practice in London and Sussex. He is editor of a Routledge journal, Psychodynamic Counselling (now Psychodynamic Practice), a Routledge book series, co-editor of four books and has published numerous book chapters and professional articles. He designed an MSc in Therapeutic Counselling, was programme leader of that course for twelve years and co-designed three other therapy-orientated postgraduate courses at the University of Greenwich. He has spoken at conferences in the United States, Japan and Australia, has been visiting scholar at colleges or universities in Japan, Australia and India, and has designed a course on anthroposophic psychotherapy in Japan.